The #clmooc community has been busy "unintroducing" themselves. The first make intrigued me from the beginning...unraveling the introduction and looking at how we introduce ourselves personally, professionally, and online. I immediately went to the idea of contrasting who people think I am based on outside appearances, and who I really am on the inside. I rehearsed ideas in my head all week, sure of the message, not sure of how to best share that message. In addition, I purposely stayed away from reading about others' makes. There was so much to think about that I didn't want what others were doing to sway my thinking one way or another. In hindsight, I don't know if I'll do that for the next make (which I can't wait to see). There's power in seeing what others are doing, learning about new tools, and trying some new ideas. I tried one new app on my iPad, Kaleidescope, and then relied on some familiar apps, Explain Everything and PicCollage. I used Kaleidoscope to take a photo of my surroundings when I began working today. As I sat at the patio table, I had my iced tea (always nearby), the grill was going, the flowers were in the background, and I had 3 devices plugged in. I used Kaleidoscope to show the explosion of everything going on at the same time. I then added images and text of all the things swirling around in my head. I needed an image to show the "outside" Julie and chose the one of me drinking tea when out to breakfast with my husband. It was one of those lovely, slow moving mornings when I did feel nice and calm on the outside and inside. The thought bubble shows what's typically going on inside my head. Lastly, I added the text "Julie on the outside" and "Julie on the inside." One thing about it, I know that all of the things I do take on, are things that I love. There is not one thing in the jumble of pictures above that I would eliminate. So maybe what I need to do is instead of jumping into the deep end, is to slowly wade in. Because like the sign says, "Cross traffic does not stop." Life doesn't stop; it keeps on going. 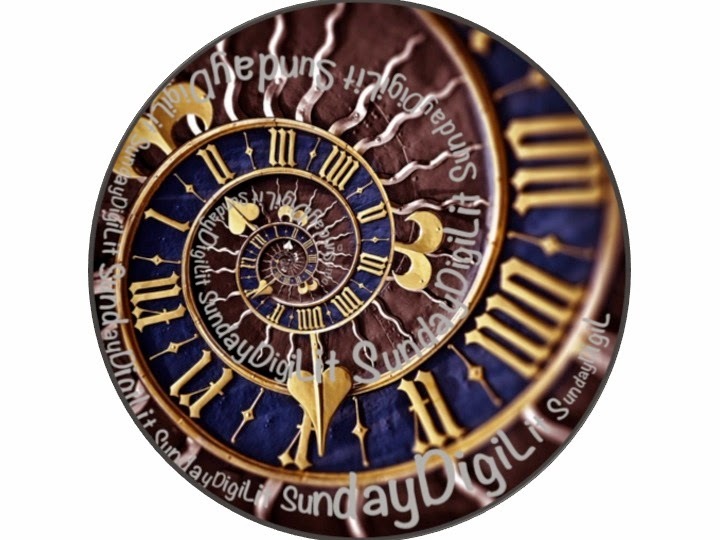 Thank you to Margaret Simon for hosting DigiLit Sunday where others are sharing their journeys using digital literacies in their classrooms. 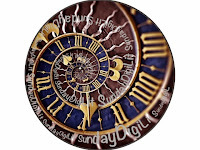 I invite you to visit her site and read other DigiLit Sunday posts. Having two puppies gives me the opportunity to tell LOTS of stories. I swear, it's just like we have toddlers in the house again. The thinking behind our actions? Both can have their own toys, no "fighting." We should have known better. They are just like our children were when they were little. They want the same toy. Scout has no problem grabbing a toy from Jem. If grabbing the toy doesn't work, she'll lie on the floor, watch Jem play and bark at him. Her own toy might be lying right next to her, but that doesn't matter. She wants whatever Jem has. I was taken aback this evening as I walked past Scout sprawled out in the hallway. She had just been playing with the new squeaky duck we bought yesterday (we've learned our lesson...we only buy one toy now). I found her lying down with the duck tucked under her hind haunches. I'm not sure if she thought she was hiding it, or if she was just making sure her brother didn't take it away from her. Either way, their antics make me laugh and I am glad that we brought them both home with us that cold day in November. Thank you to Two Writing Teachers for hosting Slice of Life Tuesdays. Please visit their site to read and respond to other Slice of Life stories. I am never sorry when I gather with a group of people who push my thinking. For the next two weeks, I am spending my days with such a group as we collaborate on a book. We spend the mornings writing and the afternoons giving and receiving feedback. Setting the cultural norm for the afternoon of feedback, David Bloome, director of the Columbus Area Writing Project, told us that as writers, we have the right to be pushed. He likened our work to havruta, the pairing of rabbinical students who are given the tasks to listen, question and challenge each other to deeply understand a passage or text. We have the right to be pushed. We understand that when giving feedback, we are pushing each other to gain a deeper understanding. What is story we want to tell? How do we position ourselves? What is the tone we want to set? How do we show the important work we do? It puts a new spin on the writer's conference. Our work this afternoon was deep, thoughtful, mind-boggling, and energizing. Questions spurred more questions. Laughter erupted as people clamped hands over their mouths because it wasn't their turn to talk, or jumped up and down in their seats as they thought of something new to say. Our conversation was so good, it continued on Voxer after we got home. Groups like this feed my soul. These colleagues of mine who are also my friends help me grow in so many ways. I am confident that all of us will be pushed to deeper understandings (and probably some completely new understandings) as we work together the next few weeks. It's hard for me to slow down as I transition from the end of school crazies to quieter, summer days. Making jam helps me ease into slower paced days. Skip a step, and you end up with a soupy mess, not fit for any morsel of bread. It forces me to slow down. It requires concentration...leading me away from thinking about school. You need just the right fruit...not too ripe. Rolling boil that can't be stirred down. Carefully ladled into hot jars. No less than 10 minutes in the boiling hot water bath. And then, listen for the pop. Iced tea on the patio.